Who is Rob Ford when the cameras are off and the microphones aren't aimed at his face? Why does he party so hard? Why does he say such horrible things that make him look like an idiot? Does his private life matter if his job commitment is honorable? Can he come back from political ruin? 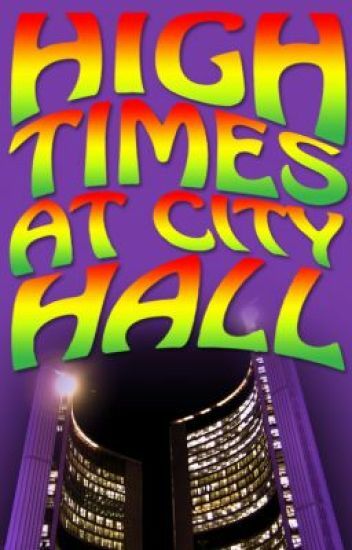 This is a fictional series of shorts about Rob Ford, mayor of Toronto and partyer extraordinaire. Loosely based on the real Rob Ford, this fictional mayor plans to save the city or have fun trying. 11-year-old Jonas Ridley loves dogs. Unfortunately, his mother won't let him have one of his own. But one Christmas, Jonas gets the chance to RENT a dog, and not just any dog but Rascal, the famous four-legged star of Jonas's favorite movie, Canine Commando! Jonas and Rascal have a blast and really bond together, even performing in the school talent show. But when the movie studio has to take Rascal back, Jonas hatches a movie-like plan and becomes a real-life secret agent to rescue Rascal! If A Dog's Purpose touched your heart, you'll love A Dog of My Own. This middle grade book is a sweet yet exciting adventure full of action and heartwarming moments for any reader - children, tweens, teens or readers of any age. This fun 'boy and his dog' story is the first in a series, so if you like it, there's more to come! "There is no such thing as accidental manslaughter here, only murder..."
In the quiet countryside of England, there is an isolated school for the world's most intelligent masterminds. In this game of deception and lies, the students fight for points that will get them money and guaranteed success - if they manage to escape with their lives. I only wanted to go to this school because it's my dream to be a detective, but it's hard when you're living with the constant fear that you could be killed at any moment. Not only that, but you can never really be sure who to trust. They say don't trust anyone, but sometimes you need a little help. I don't know what to do and honestly, I don't know if I'll make it through this alive, but I have to keep on going. Besides, I'm not allowed to leave anyway. In the end, the only things that really matter are life and death; I'll either graduate from this hell hole, or die trying. Detectives VS Murderers - Who will you graduate as? Inspired by an odd photo, this short-short story came to me in the middle of the night; I promptly got out of bed, fired up the computer and typed it out before it left me. The next day, I put it in the mail to send to a short story magazine. I completely forgot about it until the check showed up in the mail a few months later. Originally published in "Alfred Hitchcock's Mystery Magazine" (Jan 2003). These are some poems that I had to do for school assignments. Some of them are really dumb and others are just plain weird. I hope you enjoy! When unemployed crime reporter Harry Truman gets a note from a local mission thanking him for his generous contribution--to the tune of a half million dollars--he's reasonably certain he had nothing to do with it. Internal Revenue Service agent Marion Russell wants nothing more than to make a name for himself with his employers. (Well, and to spend more time with his show dog.) Agent Russell is certain that Truman has some undeclared source of income--and will go to any bizarre lengths to prove it. Meanwhile, record label owner Buddy Powell has found that his latest marketing scheme--stage a fake kidnapping of country music sensation Darla Lovell--isn't working out as planned. His fixit men, Sherman Clayton and "Bull" Ron Taylor, have bungled the job, and now the fake-kidnapping has turned into the real thing. But what happened to the money? FBI Special Agents Murphy and Reed are heading an investigation into the kidnapping. The demands were met, the money was dropped--but the girl is still missing. And Murphy is certain that Truman must have something to do with it. This story is driven by a theme that runs through my novels: "You reap what you sow." Note that the main character is even named after Haman, from the biblical book of Esther. Originally published by "Infuze" (Nov 2004). When I wrote my first novel, "Forgiving Solomon Long" (2005), I thought it might be fun to write a companion anthology, a collection of short stories exploring what the characters were doing before—and, in some cases, during—the main action. Although Al Holland was in "FSL," this is not one of those stories. “Unfinished Business” originally appeared in the collection "40 And Counting: Stories" (2006). This is a compilation of short 'love' stories. :) Enjoy! :D Please do comment/critique. Pandora's Lunch Box: Don't Open! The difference between Pandora and your average 12-year-old girl is that Pandora knows exactly what she wants at all times. So when five magical genies pop out of an old rusty lunch box, Pandora knows her life is finally going to be perfect! ...Or maybe not. When one of the genies blows up a mean girl's head to the size of a basketball, Pandora has to figure out how to unwish her wish, and fast! If you like Dork Diaries, Diary of  a Wimpy Kid or The Baby-Sitters Club, you'll love Pandora's Lunch Box! From the writer of My Best Friend Is a Secret Agent, this middle grade chapter book is a comic romp full of magic and suspense for any reader - children, tweens, teens... and beyond! This funny wish-fulfillment story is the first in a series, so if you like it, there's more to come!